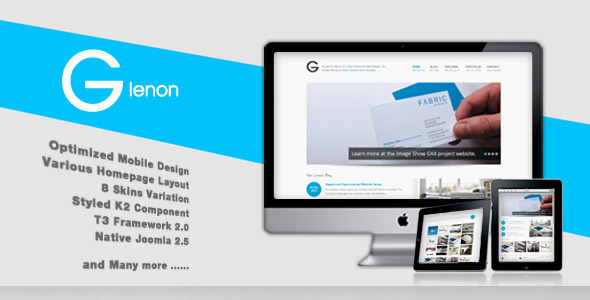 Glenon is simple, modern and impresive joomla template. 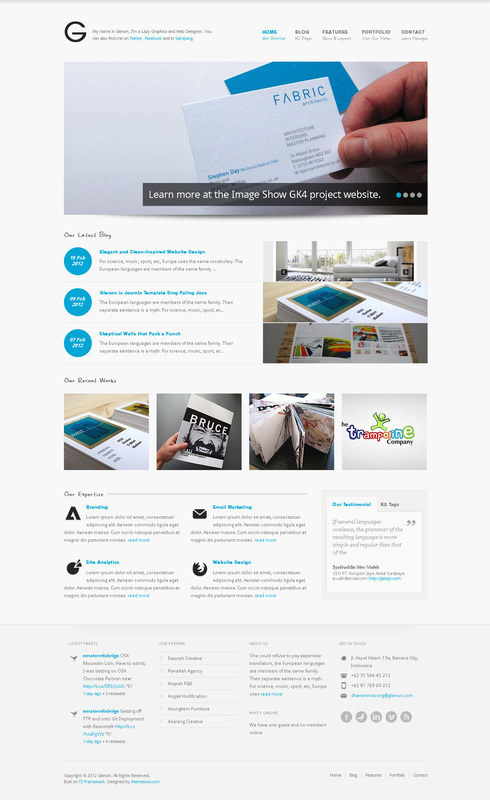 it’s a responsive templates and optimized for tablet and any others mobile screen. This template will also give you a great portfolio option to work with and it’s very powerful for businesses, artists, website designers, books and more. 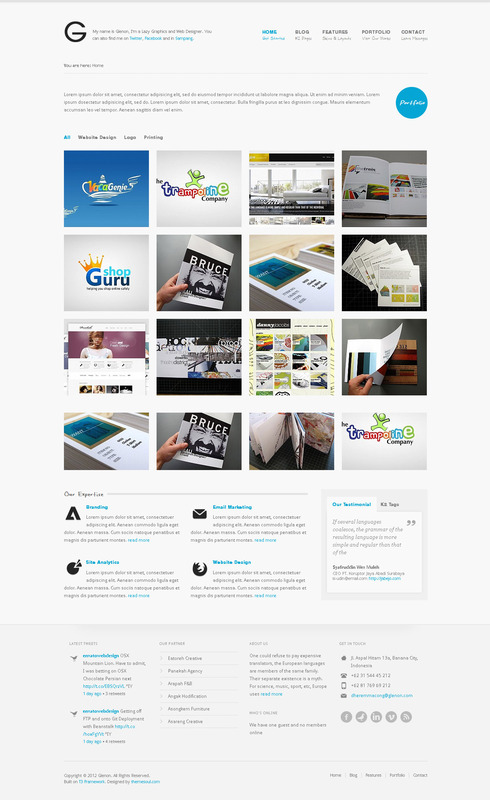 Glenon comes with powerful T3 Joomlart Framework, best and selected extentions. ThemeMagic : T3 Framework is powerful by its easy customization with ThemeMagic. You can allow many parameters to be configured in the ThemeMagic. Bootstrap & LESS: with LESS CSS that making CSS development more powerfull and intuitive. Impressive, Lightweight, modern and very fast-loading design.